Why purchase reconditioned when you can buy new? Cost savings. Reconditioned centrifuges typically cost 30% – 60% less than a brand-new comparable model. As most centrifuges are built specific to a particular process and not mass-produced, a customer can realize savings of tens of thousands of dollars when compared to purchase of a new centrifuge. Lead time. Deliveries on reconditioned centrifuges generally take less than half the delivery time versus new. Modernized control system. Most all reconditioned centrifuges sold through Kyte are supplied with a modernized control system and brand-new motors, with the only difference being the *core* centrifuge itself when compared with new. In many cases, the after-market control system supplied with a reconditioned centrifuge uses technology which is superior to the technology supplied with many new machines. Warranty. All reconditioned centrifuges sold through Kyte are offered with a “same as new” warranty. 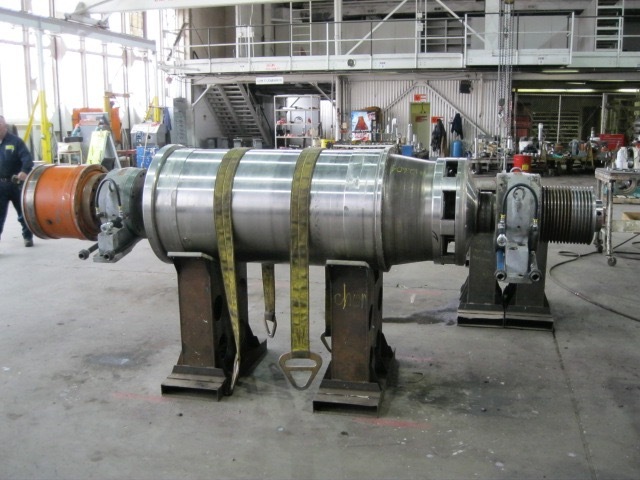 As the material of construction on most centrifuges is stainless steel, as long as there hasn’t been any corrosion or erosion to the centrifuge bowl assembly (also called the rotating assembly) that exceeds OEM limits, a centrifuge can be rebuilt almost an infinite number of times. Full reconditioning services offered through reputable dealers will include replacing all bearings, seal, and o-rings with new; re-machining and repair of all critical run-outs and mechanical tolerances; repair or replacement of parts on areas of the centrifuge requiring wear (abrasion) protection; dynamic balancing of the rotating elements; repair of cosmetic damage (sand-blast, paint, powder coasting, etc. ); application of special coatings in certain processes to protect against chemical corrosion. Finally, the centrifuge should undergo a minimum of a one (1) hour test-run with vibration analysis performed.